Scientists have identified two of the sets of remains of US troops killed in the Korean War that were recently returned by North Korea, Defense Secretary Jim Mattis said Tuesday. "There's been already some closure for a couple of families that have waited many, many years for this," Mattis told Pentagon reporters. Praising the "good work" of forensic scientists, the Pentagon chief said they had been able to quickly identify the two remains thanks to a variety of information, including where they had been found. North Korea in July handed over what are thought to be the remains of 55 US servicemen who were killed during the Korean War. With the exception of a single military tag, the remains did not have any obvious identifying features, so experts are using a range of techniques including DNA analysis and dental records. The repatriation of the remains followed a summit between US President Donald Trump and North Korean leader Kim Jong Un, during which Kim agreed to send home some of America's war dead. 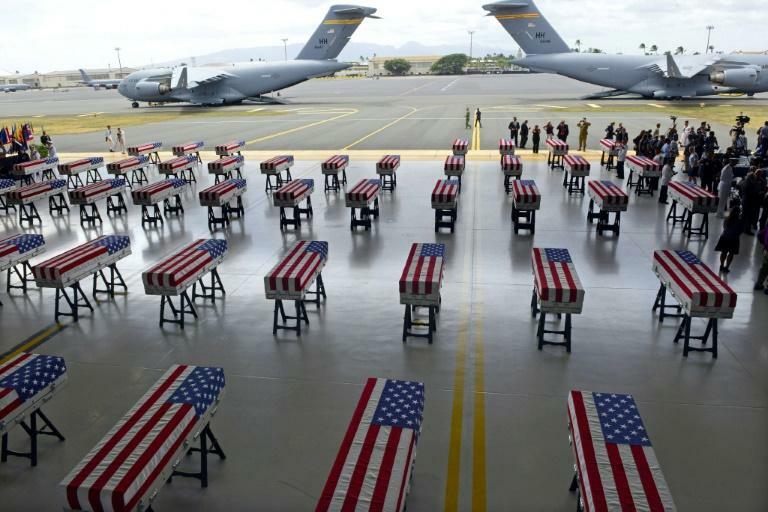 On Monday, the Pentagon said UN military officials met with North Korean counterparts last week to discuss the repatriation of additional remains. The US-led UN delegation was led by US Air Force Major General Michael Minihan, who is chief of staff for the command that fought alongside South Korea's troops during the war.